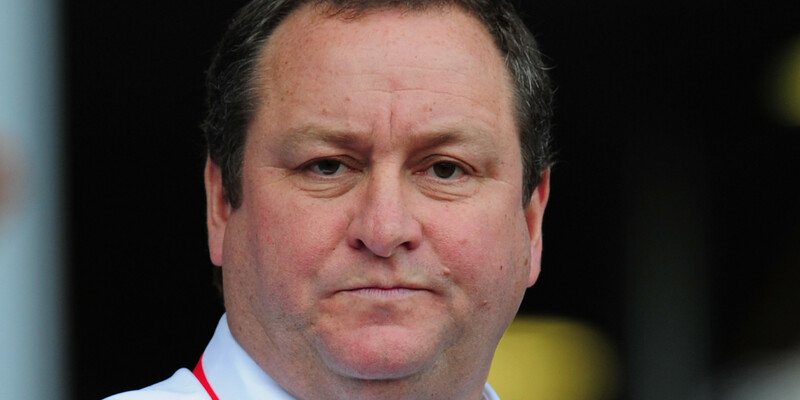 You’re in a pickle, I suggest, Mr Ashley. The past is but a dream. 17:00 hrs, Saturday 7 December 2013 (only 4 months ago) Newcastle’s best result in years. We’ve just beaten Manchester United at Old Trafford (for the first time in yonks). We’ve beaten the reds’ team away, a team that Cabaye, Sissoko, Debuchey and Tiote would walk into. We are probably 4 good players short of a team capable of competing for a top four position – a big ask, yes, but all we need is 4 (a Sturridge, a Lukaku, a Kompany and a young Colo) top quality players and we’d be good enough to compete. These are the players that dreams are made of. Back to the future, now…. 19 April 2014, the morning before our home match versus Swansea. What happened? Who gets the blame? – Players? Pardew? Fans? The press? You? There’s a lot of finger pointing at ‘somebody else but me’ – but you’re the one who controls the purse strings. There’s an awful lot of ranting but what’s really going on? Here’s my take on the fundamental issue right now. Psychologists refer to someone performing at their peak as when they are “in the zone”. To be in the zone top performers need to feel challenged: mentally, physically or emotionally. It is the challenge that motivates top performers (in Newcastle’s context, top players) more than anything else. I had the privilege of researching worldwide into what top performers in business do and think differently. A top performer wants to earn lots of money, yes, but it’s not the money that motivates them really – especially when they’ve already earned enough to retire on. Top performers want to win, yes, but there’s something more to their psyche. Top players want to be known and seen as the best. They want to be part of the winning team. They want to be in the centre of the spotlight of success that falls on the chosen few. AND… more than just being competent; top players need to be motivated, confident and curious about how to be better, if not the best. This is where leadership comes in; to help top performers be at their very best and get better. — SO— How would you rate Newcastle’s quality of leadership right now? The team is playing with a lack of passion. It’s not an intellectual issue. It’s not about tactics. It’s not even about team selection. Not one player at Newcastle is playing anywhere near their best. And those who are most demotivated (and there seems to be few) have attracted injuries (a subconscious act) so that they don’t have to face the ignominy of losing game after game. When you (under) sold Cabaye and didn’t replace him, I suggest, you sent a clear signal to the team that you were satisfied with a mid-table position for this year – better than last year granted. The players have responded accordingly. They feel no challenge – and without a challenge top performers get bored and look elsewhere. 2. Do something differently – something spectacular! In the summer, the demotivated, Sissoko, Debuchey, Santon, Tiote, Krul, Mbiwa, Colocinni, Ben Arfa and Remy (arguably our best players) will all want away and their agents will be touting their talents all over Europe. Yes, you’ll get lots of money and be left with a team of regular players: a team devoid of leaders and quality to look up to. You’ll send out Graham Carr (your most valuable member of staff) to muster five or six rising stars; ship em in, Pardew will make all the rights noises and off we go… mid table performance next season at best. More of the same, getting the same result. There are two ‘young’ managers who will guarantee you success in the Premier League: Martinez (who methinks will be ManU’s next manager) and Pochettino. The former would probably decline but the latter might say. “yes!” Especially if you offered him, say, a £100M treasure chest. It sound s alot of money but with Pochettino, the risk would be neglible – and that’s what business is about (Is it not? ), taking calculated risks. And you want to be the best, do you not? Pochettino would guarantee you success as much as any other manger in the world. You’d stop the pending ‘abandon ship’ mentality and raise the hearts and minds of all (players and fans) to rise to the challenge of achieving new and increased levels of success. If you go for Pochettino you can’t fail BUT you would have to offer him the incentive (package plus transfer budget) to get into, say, the ECL within two years – for him to consider joining Newcastle (as you would to attract any world class manager). Sidenote: It seems you need a football consigliore you can trust. The appointment of JFK and before him, Dennis Wise, were spectacular failures. Go for a knowledgeable and young director of football – someone who’s in touch with the modern game and respected internationally – maybe a retired player – you probably wouldn’t get Leonardo but someone like Del Piero, Henry, Viera – someone who oozed class as a player AND is very intelligent – ‘wiv a bit a clars’. (Wise was a thug of a player – IMO.) Above all, avoid your London pub drinking pals – please!!! So there you have it Mr Ashley. And if you’re not up for Option 2, how about selling the club to someone who is? If Villa are worth £250M, allegedly, then surely you can sell the Toon for as much, if not more. You’d get your money back and you can move on to your next challenge because as things stand, this one withers on the vine. If you missed out, give PART 1, PART 2 and PART3 a read as well!